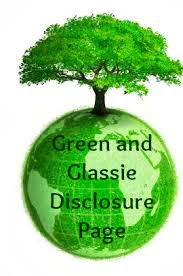 Green and Glassie: Drury Inn & Suites made traveling with Diesel so easy! Drury Inn & Suites made traveling with Diesel so easy! Today's Barking Wednesday I want to talk about taking your dog on vacation. Diesel went on his first vacation. We traveled from Wisconsin to St. Louis, Memphis, Tupelo, MS, Nashville, and Campaign, IL then back home. We were excited about taking our trip but nervous about how well Diesel would adjust to hours of driving. 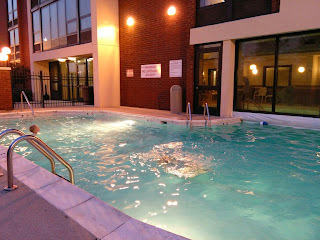 Our first night we stayed outside of St. Louis - we choose The Drury Inn & Suites in Festus, MO. We were amazed with the service and amenities. I highly recommend Drury Inn & Suites!!!! EXCELLENT!!!! 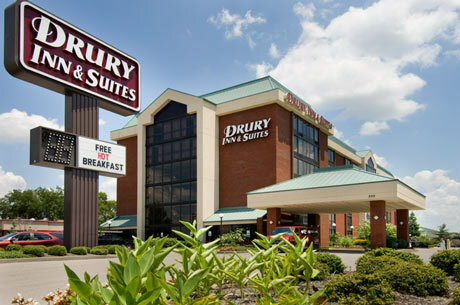 Drury Inns & Suites offer a huge Breakfast Bar every morning plus a Evening supper bar - complete with alcoholic beverages. Not to mention excellent customer service - clean - modern - pool - free 60 minutes long distance calls plus much much more!!! All Drury Inns & Suites are PET FRIENDLY!!! They only charge a $10 fee per stay for your pet! 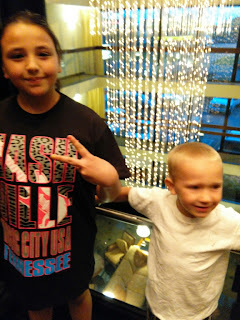 We enjoyed our stay at the Drury Inn in Festus, MO so much that I made reservations for the Drury Inn & Suites in Nashville and also Campaign, Il for the last days of our trip. The Drury Inn & Suites are ideal for families. To offer breakfast and dinner included in your room is a huge plus for families. To take a family of 5 out to breakfast and supper daily while vacationing can be a hard hit to your vacation budget. SAVE $$$$$ with meals included in the room rate. The food taste GOOD!!! Drury's pools were all very nice - the kids loved swimming under the wall allowing them to swim both inside and outside. It was a perfect night for swimming 88 degrees in Nashville at 9pm at night. Drury Inn & Suites are excellent and Pet Friendly! Here is a list of items to make sure to bring along on your trip for your pet. I made Diesel his own vacation bag - it worked great keeping all of his items in his bag. Planning and being prepared are key to having a successful trip with your pet! Enjoy your vacation and have a fun time! Staying at The Drury Inns & Suites will make vacationing with your PET so easy and FUN! My kids would LOVE that pool! What an awesome place to stay! I have never stayed at a Drury Inn. We travel often so I am going to be sure to look for this. It is a chain I take it? Yes ~ they have I think about 120 hotels. Now when we decide we are going to need a hotel - I have been checking right away to see if a Drury Inn & Suites is in the area. We are planning a trip this fall to Frankenmuth, MI ! I was super excited when I seen there was a Drury there! We are all about the pool at hotels. Best part other then riding the elevators. I had no idea hotels did this! You had me at breakfast buffet anyway! I LOVE a pet friendly destination that also is comfy for people, too. Dooley doesn't travel with us much because we don't know about places like this. Wow sounds like a friendly place for pet owners. Do they allow pets in all the rooms? It is really nice and yes pets are allowed in all rooms. What is really nice is the Free breakfast and free dinner which one night was hot dogs, chicken fingers, mac & cheese, chef salad, soup, chili, baked potatoes you can load lots of stuff on, nacho's. Plus free soda and popcorn all the time. Love taking my dogs where ever I go. We go to the St. Louis area often, so this is good place to know when we're with our dogs. Festus is just south of St Louis - hotel is right off the expressway making it very easy to locate. Everyone there is so so nice! Excellent customer service and the rooms were spotless. White linen -- very nice. We got the King Suite and it was excellent. We travel a lot. I'll have to check out this hotel chain. Thanks for sharing Drury Inn. I never go anywhere if it isn't pet friendly. Drury Inn is a wonderful hotel! I love that it's pet friendly, too! Looks like a great hotel choice for all of you. We don't have any dogs so not something we look for but I know quite a few people that do so will pass on this info to them. This sounds like a great hotel. They have one in Orlando that I have been thinking about staying at in November. I am going to reserve it after reading this post. Catherine ~ I give Drury 5 stars - definitely give it a try. You will be amazed at the extras that come with your room! Breakfast Dinner Free Popcorn & Free Soda - 60 minutes long distance and MORE!! We travel a lot and are always looking for a good hotel chain. This place looks amazing. It is good to hear that Drury is pet friendly. That seems to be the biggest issue with a lot of the hotels I have stayed at, and I would love to bring my furbabies along for the trip! Awesome pool and that is really cool that you could bring your dog and it is inexpensive at that. Sam (our lab/boxer mix) would love to travel with us on vacation. Diesel really enjoyed himself...when a hotel chain is Pet Friendly and Family orientated ~ it makes our stay so much more relaxing. This definitely sounds like a great place to stop. The suites being pet friendly is a big plus! I would love to find a pet friendly hotel so our dog could travel along with us on vacation. These days he stays in a luxury pet boarding facility. I love that they are pet friendly. Those types of hotels that are clean, nice and reasonable are VERY hard to find! Finding hotels that are pet-friendly is quite important for an animal lover such as me. I don't do a lot of traveling anymore, but if I did this is some great stuff to know about. Thanks. We're trying to figure out what to do with my sons turtle now while we go on vacation. We may have to take him. If we are ever in the area, we'll definitely check into the Drury Inn! I love that they are pet-friendly and the pool looks amazing! I've never stayed at this chain of hotels but it looks nice. Heather - Festus was our 1st time...I am so glad we gave them a try. Now Drury is our hotel of choice. We are planning a trip in July - the first thing out of my hubbys mouth was "Is there a Drury in the area?" I have never stayed here but we will have to keep the chain on our radar. I love a great hotel review! I am doing some staycation series on my blog and I need to see if this chain is in my area. I love that this hotel is pet friendly! We always end up with an expensive bill whenever it's time to put the dogs up at a pet facility for a few days. Emerald no kennel fees and so much more free with your room fee! First of all, our dog's name is Deizel too! Glad to see there are pet-friendly hotels around. Traveling with your pet can be stressful and having a place to go that actually welcomes pets is definitely a plus! We have only brought our pets along with us on one vacation, but I was shocked what good travelers they were. It's good to know we have accommodations available for the next trip with them. Sounds like a great place to stay with family. 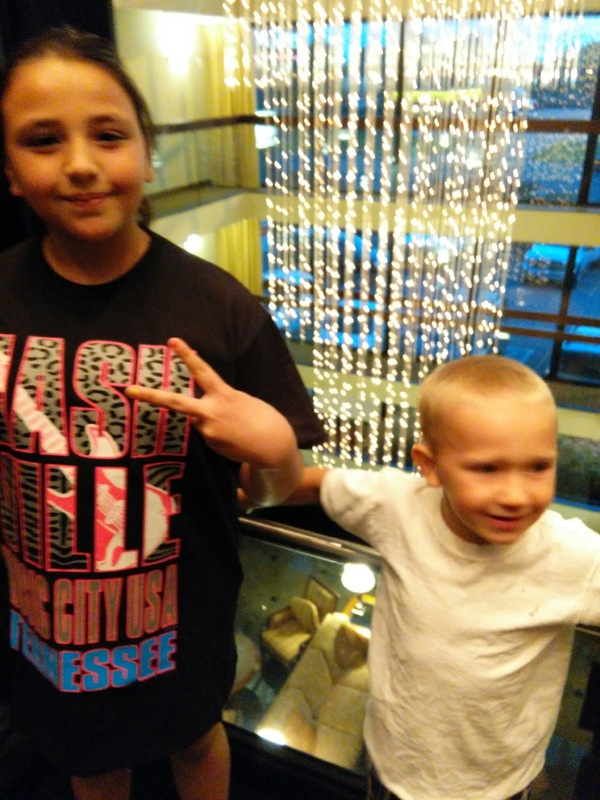 It is hard finding hotels that are godo for kids too! Censie the hotel is so kid friendly. Free Popcorn & Free Soda! That made huge smiley faces on Isa, Davey & Caleb. Heck in Nashville my son in law had the biggest smile of all - he is a soda junkie! I'm not familiar with Drury Inn. We've never taken our pup on vacation with us before, but love that we could if we stayed at a Drury Inn Suites. I haven't yet stayed at Drury Inn, but always travel with my dog as he's a service dog. I love finding pet friendly hotels! I love that they are pet friendly. It's hard to go away and leave your fur baby behind. I also am in love with the pool! Wow this is great for folks with animals. $10 extra is not bad at all. We love staying at Drury Inns. They are military friendly and they over breakfast and dinner which when you have had a long day and don't feel like leaving the hotel room is a huge plus.